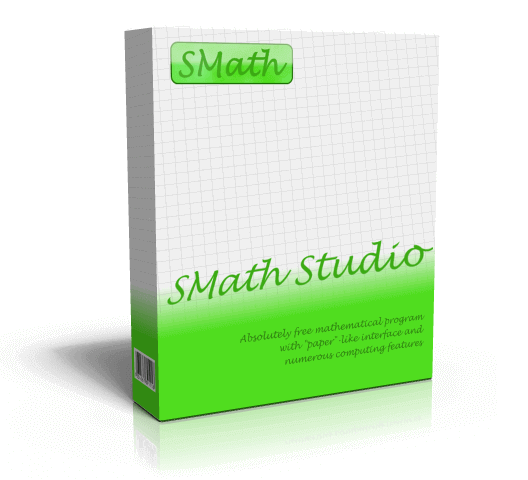 New Stable SMath Studio 0.98.6606 is available! Added ability to accept Enter button as a selector of suggested value within Dynamic Assistance list if user explicitly did a search within a list using mouse or keyboard. 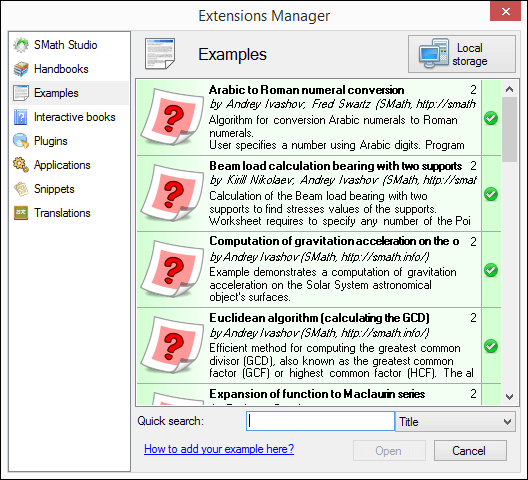 Save to EXE using full version of SMath Viewer (using unique activation code) restored. Text colors and sizes related refactoring. Default view selection added to Options dialog (Printing bounds will be temporary used for this purposes). Significant digits Region setting is now respected within changes history. Several issues related to Pages view fixed. The excel file plugin won't load. If you move a region with the mouse, it sometimes vanishes. For the attached sheet this is particularly reproducible. It seems to be limited to moving regions upwards. Downward move never remove a region. Recovery from such deletions is just by Ctrl-Z. Sorry this example requires Maxima. Perhaps it is related to Maxima, but non-Maxima regions are affected as well. HV_WEZ.txt (1kb) downloaded 39 time(s). HV_WEZ_lsquares.sm (103kb) downloaded 44 time(s). The new page view isn't just a page view, it also wraps region and as such changes the formatting of the document. Yes, I can confirm there are some issues appears because of collapsed areas. It is regarding moving regions and drawing red cursor. I will address these issues asap. Regarding new way of positioning regions with a page view: yes, there is another approach used for regions locations - they always should be fully visible within a page (with some exceptions). But please, note: view used during work with a worksheet always stored as a part of this worksheet. So, if you have created a worksheet without new pages view turned on, then your program will always show it as you expected. Of couse if someone have designed a worksheet as pages, then you will open these worksheets in pages view automatically (doesn't matter what global setting you use for your copy of SMath Studio). That means your document will never be broken because of the worksheet view you (or someone else) are using. But of course program always allow you to switch between view modes - you just need to understand that such a switch may result in different number of pages on print out (again, you can switch it back to restore initial regions layout). The main idea here is that view switching is safe operation and you are able to play with it without any worries to break a document. But it introduces something new, which may be important for some users. Pages view is always good thing because now I have prepared everything (almost) to start implementation of full functional user defined headers and footers. 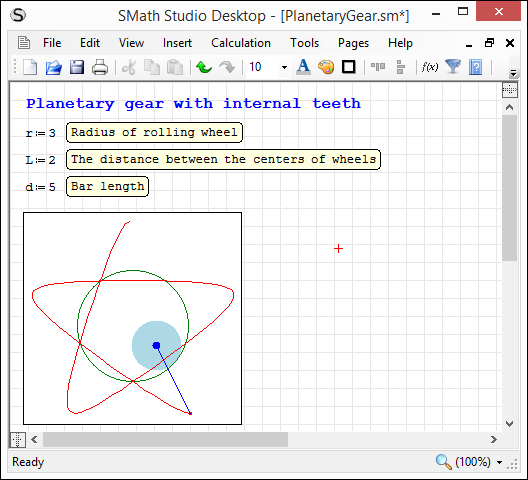 For me this is a starting point to make SMath Studio better in documents visualization and interaction. If I want to prepare a document for printout, page wrap is great. But I don't necessarily need a top and bottom margin preview then but rather would benefit from seeing more regions at once on screen. I'd check the margins or headers and footers just occasionally before printout or otherwise publishing a sheet. Thus, the rigid coupling between the two doesn't seem natural to me. Of course, a realistic and editable preview of the margins and decorations is much better than the old style print preview in the File menu. BTW I don't agree with other user's statement that formatting is the major advancement in the new stable release. To me, it's the use of indices and index vectors in assignments, much like the Mathcad range variables. In fact, there is good reason to revisit legacy sheets and make them more readable using this new feature. I like the units being upright instead of italic now and flawless scaling or zooming is great. I am not so convinced of the small font subscripts, as they force me to use a larger base font or a higher zoom level to be able to read them with my bad old eyes. This againg goes at the cost of the viewable section of the document on screen. How about a viewing option: small text subscript? Vector indices aren't small anyways and I hope they never will be. 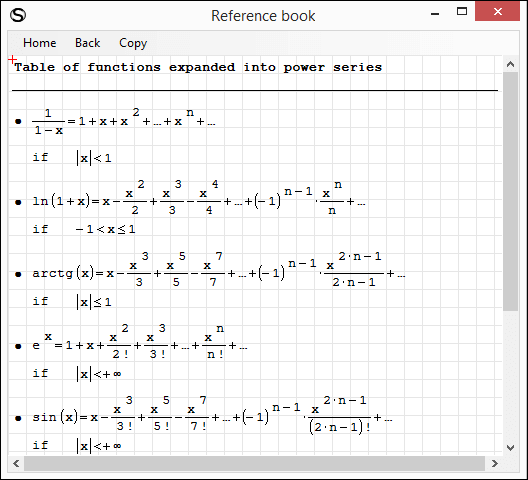 "Added ability to configure formatting of every type of the equation entries (font, size, color, etc.). See "Tools" > "Options" > "Equations formatting""
However in my Tools > Options menu, I only have tabs for "Interface" and "Calculation". I also see nothing in regards to "Equations formatting" under these tabs. Is there any way to open Smath with a default paper size? Since I use A4, everytime I open Smath I have to change paper size from Letter to A4. I looked settings file, regedit etc. Couldn't find anything related to this. Maybe I didn't looked enough. I have a problem with newly added feature: "Pages mode of worksheet visualization implemented (in test mode temporary; press Ctrl+Alt+L to activate);". I am from Poland and in our language we have a lot of diacritic symbols which are written by using "right alt (ctrl+alt) + symbol" like for example ą, ę, ć etc. and shortcut ctrl+alt+l is used for ł. Implementation of this feature results in accidental changes of "page mode" during normal writing. It would be great if it could be improved. 1 user thanked Mroczak for this useful post. I have worked a bit with documents containing area regions. The user experience really suffers from bugs because you can't move regions around even without being in margin preview mode. When you release the mouse, the dragged or cloned regions jump away. If that can't be fixed immediately (which is perfectly ok), I'd recommend to issue a 6598-based stable version, possibly with some bug fixes but without new features, or at least re-classify 6606 as release candidate rather than as a stable version. This would keep the trouble of testing leading/bleeding-edge development features within the group of the nightly-builds users. Martin. These issues are already fixed and I'm preparing to release a new version with fixes within next couple of days. Mroczak, this is temporary shortcut. Next release will have better switcher in the UI. I've had the issue of moving collapsed regions break sheets. This will be of great help. I would like to thank ALL of the developers for their work!! Unfortunately, I've been on site more than designing lately and need to get back into updating files with new features!!! Error message something like object reference not pointing to an object instance. Not sure when it happened but somewhere between the prior stable release and now the page layout for SMath is messed up on my PC. Try opening this file in current and previous stable release to see the difference. CHBDC-DevelopmentLength&Splice.sm (110kb) downloaded 47 time(s). Originally Posted by: Alex M.
Compared between 0.98.6179 and 6606/6611 - do not see any differences (except font style of equations, of course). Please could you describe what is wrong exactly (maybe with screenshots)? I have printed both versions to PDF; font size set to 8. CHBDC-DevelopmentLength&Splice_6179.pdf (149kb) downloaded 62 time(s). CHBDC-DevelopmentLength&Splice_6611.pdf (166kb) downloaded 53 time(s). I've investigated this and answer is pretty simple. 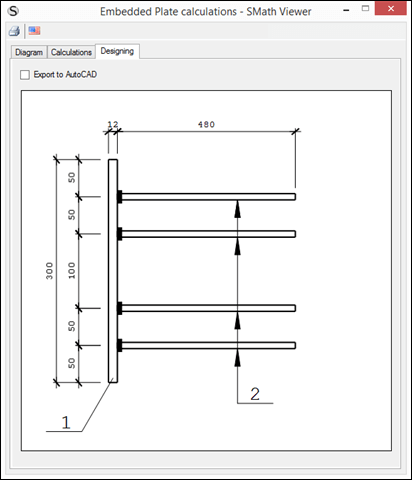 You have non-standard DPI on the machine where you created this worksheet and all previous versions of SMath Studio was not able to work correctly on such machines. Unfortunately. 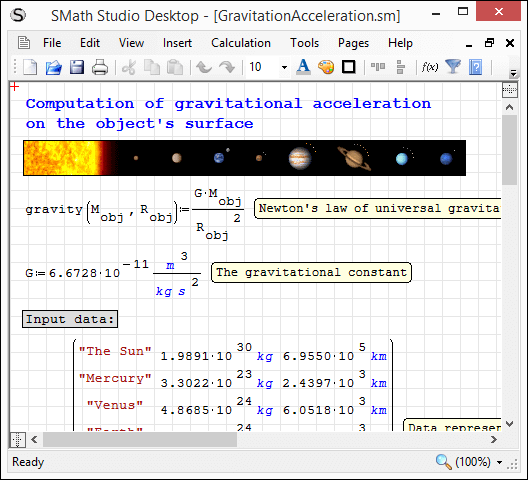 But latest versions of SMath Studio allows you to work with no matter what DPI is set on your PC. Result will always be the same. Please compare those regions with blue background you have added before exporting to PDF. Do you see strange spaces with 6179 build? This is exactly because old versions of SMath Studio had bugs related to DPI. So, I would suggest just to fix layout for the documents you have. Starting from now you will never see such issues (I really believe so). Sorry for inconvenience, but DPI related bug was really hard to fix and it was very annoying.